Contact Galveston Cruise Ship Injury Attorney Gerson & Schwartz, P.A. One little known fact of travelling on a Galveston cruise ship is that your excursion might very well end up in Miami. That might sound like a good idea to you but more information is necessary. Our Galveston cruise ship lawyers in Miami can explain. If you were injured on a cruise ship that set sail from Galveston, you will find that your cruise ship accident claim can’t be filed in Texas. It will likely need to be filed in Miami, Florida or another jurisdiction in Florida, to recover money for your damages unless your case can be settled pre-suit. But the time to resolve your case is very short. In nearly all cases arising out of cruise ship negligence, or a cruise ship accident claim, injured passengers only have one year to file your lawsuit. Many cruise ship ticket operators like Carnival, RCCL, and Norwegian require that lawsuits are files in Miami, Florida. So that is how your simple cruise ship journey from Galveston can end up in federal court in Miami. Our Galveston cruise ship injury attorneys offer you a free, no-obligation consultation to figure out if your claim will end up in Miami. Contact us today for your confidential consultation at (877) 475-2905. There is no need to be a silent accident victim. Get the answers you need and the justice you deserve. In 1825 the Port of Galveston was a simple trading post. On October 17, 1825, the Port was established by a proclamation by the Congress of Mexico. It became the Gulf of Mexico’s oldest port west of the Port of New Orleans. Today the Port of Galveston has more than 850 acres of port facilities. In 1900 a horrific hurricane hit the Galveston area resulting in more than 6000 fatalities. In 2008, Galveston suffered a direct hit by Hurricane Ike causing $3.2 billion of damages. 75 percent of Galveston’s homes were impacted. Fortunately, the 17-foot seawall constructed after the 1900 hurricane stood strong against Hurricane Ike. Although the devastation was extensive, Galveston avoided total destruction and rebuilt itself. Liberty of the Seas offering 7 night Western Caribbean cruises year round including Grand Cayman, Cayman Islands; Jamaica; Isla Roatan, Honduras; Montego Bay, Jamaica; Belize City Belize; Cozumel, Mexico; Falmouth, and Costa Maya, Mexico as ports of call. Disney Wonder offering 7 night itinerary to the Bahamas, which will include stops in Nassau, Bahamas; Key West, Florida; and Disney’s private island, Castaway Cay. Carnival Liberty offering 4 and 5 day Eastern Caribbean cruises year round. A Western Caribbean itinerary in Belize; Cozumel, Mexico and the Honduran island of Roatan. A Western Caribbean itinerary in George Town, Grand Cayman; Montego Bay, Jamaica; and Cozumel. Carnival Breeze offering 7 day Eastern Caribbean cruises year round. 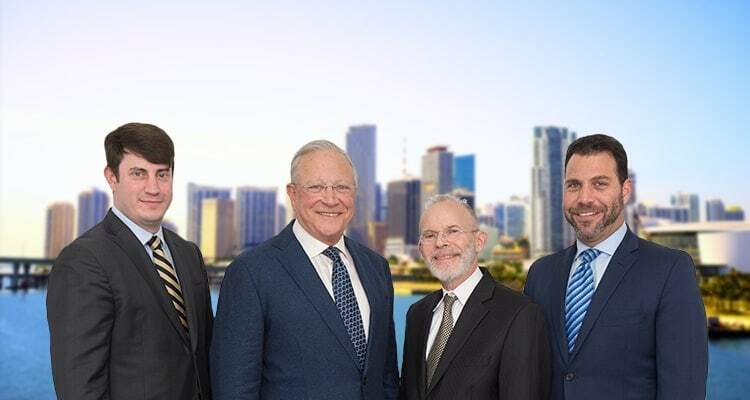 The Galveston cruise ship injury lawyers at Gerson & Schwartz, PA are ready, willing and able to represent you and your loved ones in federal court in Miami. Our Miami cruise ship lawyers have developed strategic affiliations with other attorneys in nearly all jurisdictions. Our cruise ship injury law firm routinely accepts referrals of cruise ship accident cases from other lawyers. Our personal injury law offices are located near the port of Miami and the federal court in Miami. Our attorneys possess more than 80 years of collective experience involving cruise ship accidents, maritime cases, and wrongful death cases. All cases are handled as a contingent fee arrangement. This way there are no attorney fees unless or until we recover financial compensation for you and your loved ones. Contact us today for a free consultation at (877) 475-2905.